Mr. 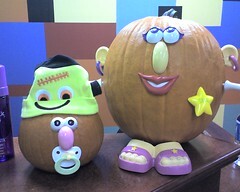 Potato Head pieces for pumpkins. Cute!